Little Pim Receives 25th Award! LITTLE PIM RECEIVES 25TH PARENTING AWARD! Little Pim, the foreign language learning program for babies, toddlers and preschoolers, has just earned its 25th award. The “Spanish Intro Gift Set with Book” was just honored on Dr. Toy’s 100 Best Children’s Products Awards Program for 2012. Little Pim’s Spanish, French and Chinese iPad Apps were also recently awarded the 2012 National Parenting Center Seal of Approval, which judges a variety of products introduced to the parent/child consumer market. This is the series’ fourth win from the National Parenting Center. The Little Pim language series has now earned a total of 25 consumer and educational awards from leading organizations such as the National Parenting Center and Dr. Toy. on videos, music, books, flash cards, gift sets and more. 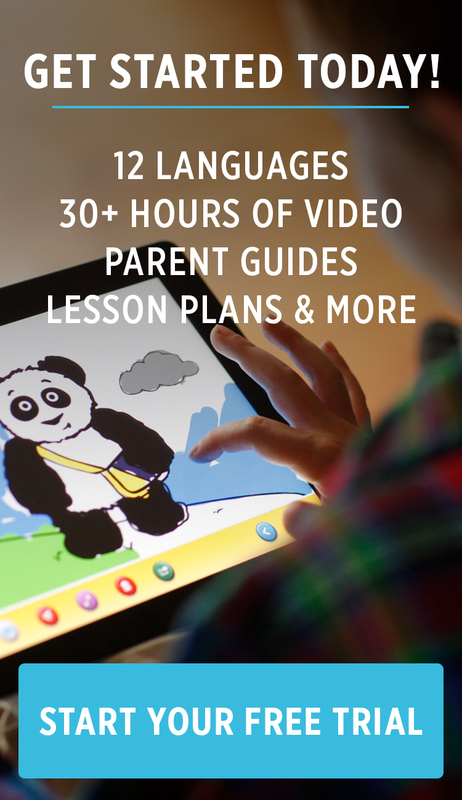 Come see why Little Pim is the number one way to teach kids a foreign language at www.littlepim.com. We're thrilled to announce that Little Pim was selected to win two prestigious awards this month! Our Gift Set Plus has been chosen to win a Dr. Toy's Best Vacation Children's Product Award. Dr. Toy, Stevanne Auerbach, PhD, has been for many years one of the nation's and world’s leading experts on play, toys, and children's products. With 30 years of direct experience, Dr. Auerbach includes educationally oriented, developmental and skill building products from the best large and small companies in her four annual award programs. As you plan your Memorial Day getaway, be sure to take Little Pim along- our Digital Downloads are compatible with your mobile device or smartphone. Our second award of the month was given by the Dove Foundation Review Board. Our Spanish 3-Pak (Vol. I) has been deemed "Family Approved". The Dove Family Approved Seal is awarded to movies, DVDs, made for TV movies and specials, books and other entertainment products that portray and encourage positive values. The positive feedback we receive daily from customers is always an encouragement and we're delighted that these recognized media outlets agree with our Little Pim parents. We're so pleased to announce that Little Pim German has won a 2011 Tillywig Brain Child Award!Brain Child awards are specifically for "exciting products that energize the mind while seamlessly blending fun and learning". Below are the wonderful things Tillywig had to say about Little Pim: "It's been well established that children have a window of time in their early years during which they can easily learn multiple languages. It would be a shame not to take advantage of that golden window, and Little Pim is an early language-learning system designed to do just that. The German Gift Set Plus comes with a boxed set of 60 German word and phrase cards and a boxed 3-pak of German language DVDS introducing over 180 words and phrases, as well as an 8-inch Little Pim Panda plush toy, all packaged in a reusable see-through tote. Little Pim is a cute and peppy panda, appearing throughout the DVDs and on every language card. The live action and animation make the DVDs highly engaging, and each well-illustrated flash card also denotes which DVD teaches that card's word or phrase in order to help reinforce learning. The DVDs are lots of fun, very child appropriate, and parents enjoy learning from them as much as do children! Little Pim offers products in 10 languages." Thank you for supporting us and helping bring access to fun foreign language education to children all over the United States (and beyond! ).